One day I noticed this amazing colony building process taking place in a tree near me. 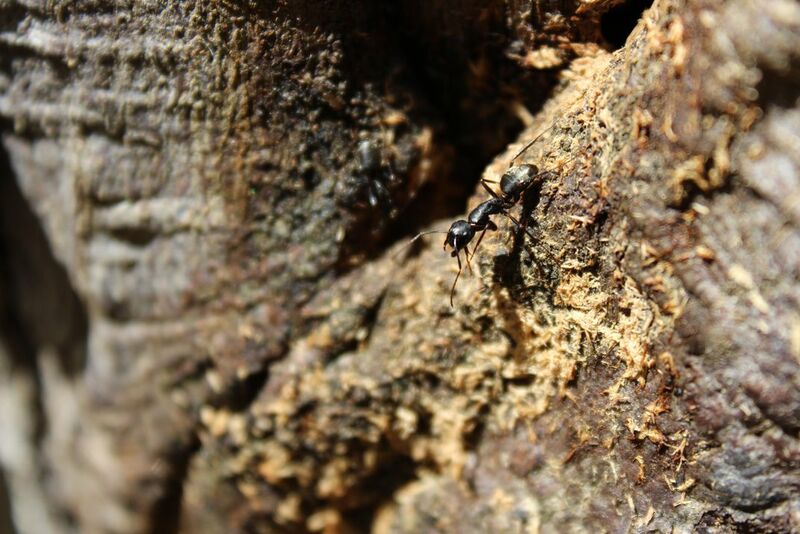 I spent a couple hours watching the ants move little wood shavings out of the inner core. Sneaking in closely to not disturb them I leaned up against the tree to capture this amazing event in action. Date Uploaded: July 6, 2015, 2:28 a.m.